I love that quote. In our expat life, we’re forced to open to our emotions again and again. It’s not always easy to get to know fear, but we do it. We get on the plane, open the door to a new home, stumble through a mishmash of languages. We learn that we have to come face-to-face with our waves of unease no matter what life throws our way. I’d add that openness also comes from getting to know our other emotions well too. This life teaches us to step into joy just as much as it teaches us to step into fear. Even though one emotion sometimes feels more comfortable, we’ve got a whole lot of stories wrapped up in just about everything we feel – even the “good” stuff. Paying attention to our emotions is neither optional (no one really wants to be blind to how they feel) nor a requirement (lots of people stay blind anyway)…which can make it difficult to know where to start if you’re ready to do some emotional unpacking. Our emotions are a powerful tool to better understand how we see the world. It’s one thing to know that, another thing all together to begin the process of better understanding them. There are some really important touchstones to “getting to know our emotions well.” These include: Learning to fully see and feel without becoming overwhelmed. Accepting emotions as neither good nor bad, but as important pieces of information even when they’re uncomfortable. Recognizing the difference between “I am” and “I feel.” Developing an understanding of the potential sources of our feelings, without getting carried away by the stories we play in our minds. Each of those perspectives comes from our ability to truly attend to our emotions. What does it mean to attend? To attend has origins from the French attendre – to wait. Even further back to the Latin attendere – to stretch towards and the Latin tendere – to extend. Beautiful, huh? I love the idea of stretching towards our emotions. What is it like when we step into how we feel? When, instead of shutting down, we embrace whatever comes our way? That embracing and stretching towards is the choice to accept, to learn and to grow from what’s before us. It’s a call to listen to the turbulence of our journey instead of tuning it out. We benefit greatly from learning how to feel and to describe our internal experiences. Our ability to develop the vocabulary of our emotions is so important – whether we’re journaling our way out of a difficult mindset or taking a deep look at our mental health with the support of a therapist. When we attend to our emotions, we take up the position of curiosity. We learn to ask – What’s here? – and then stick around for the answers. What would it look like if you decided to attend to your emotions? Would you cultivate a deeper awareness of the way they show up for you physically? Would you find buried feelings of anger or resentment that are showing up in your relationships in ways you haven’t even noticed? Would you discover a happiness you’ve been holding at bay for fear that it will slip through your fingers? I invite you this month to hold this word attend in your mind’s eye. Ask yourself how you might mindfully attend to your emotions. I encourage you to consider the ways in which you already attend. Do you share your feelings with someone you trust? Do you write them down? Do you allow them to wash over you in a long walk or in a heartfelt cry in the shower? If you don’t already spend time paying attention to your feelings, how might you begin a practice of attending to emotions? What type of practice would feel most comfortable? What might fit your lifestyle? Is it time to get some professional help or is this work you can begin on your own? If you feel stuck for ideas on how to get started, I hope you’ll join me throughout the month of April on the World Tree Coaching Facebook page where I’ll be sharing articles, podcasts, inspirational messages and weekly self-coaching questions that can help you better navigate your globally mobile life by learning to better connect with and understand your emotions. You might also like the free download of my exercise On Thoughts and Emotions from The Expat Activity Book. And, my online course Essential Practices for Life Between Worlds: Mindfulness Skills for Transition & Beyond offers lessons on Attending to Emotions as well as other accessible mindfulness practices for your expat life. How will you get started? Where will you make the choice to open up to how you feel? Join my mailing list to get blog posts like this, plus other great resources directly to your inbox each month. Are you ready for a different way to wake up? 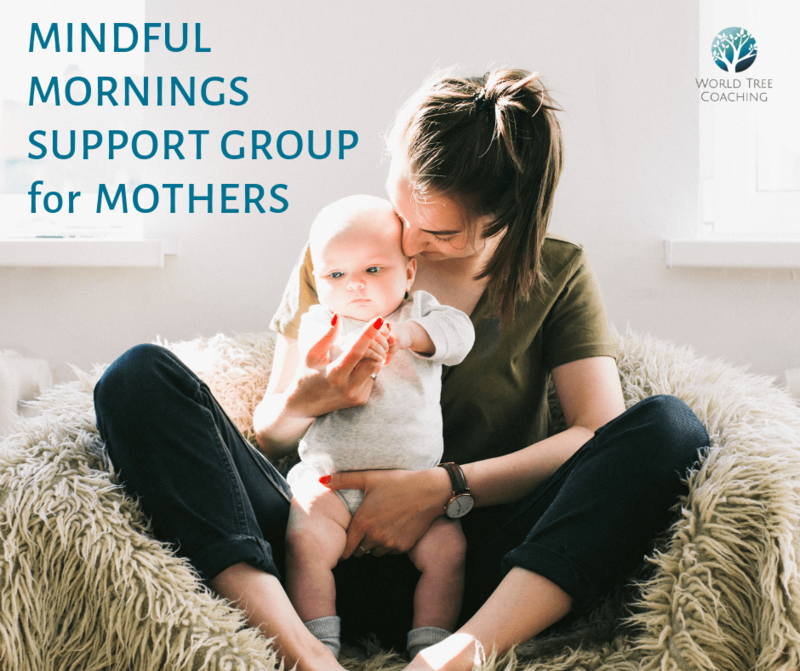 The Mindful Mornings Support Group for Mothers is a non-therapeutic communal support and learning space for mothers in Tokyo. How do I become more mindful of who I am with my children? How do I parent the way I want to when no one really understands what I’m going through? Where in the world do I access an inner sense of calm when rage is always bubbling right beneath the surface? What am I supposed to do when I feel like I’ve completely lost my way? Why mornings? Because so much depends, or seems to depend, on how we start out our day. If we can connect mindfully and with presence in those first few moments – to, as I recently said to one mom, “just zip up the jacket, nothing else” – then perhaps we give ourselves the opportunity to be a bit more mindful with the next task, upset, cup of coffee or hug that comes our way. Why mindfulness? Because mindfulness is not something we take from the outside and apply to our lives. Mindfulness lives inside us. We’re born with all of the skills we need, we’ve simply forgotten how to bring them into our lives each day. Mindfulness is hopeful and present. It’s something we all need more of. Moreover, the spirit of this group is one of sangha – community. I believe, since we all have the practice of mindfulness alive in us somewhere, we grow into our highest and best selves when we share that learning with others. Read more about what mindfulness means to me here. I’ve had the wonderful privilege and gift to offer a wide range of coaching and mindfulness programs to the expat community in Tokyo over the last three and a half years. This group brings together the spirit of those programs in one space. Moreover, it will also serve as my last group program or workshop for my time here before I depart in June. This 3 month, 6-session support group will provide you the opportunity to connect with other moms around the common purpose of accessing a more connected, mindful presence in your personal journey as a mother and partner. Each session will consist of guided meditation, a mindfulness practice learning opportunity for the week, gentle coaching support and guidance all in the company of a supportive community of other mothers with whom to share you experiences, challenges, goals and intentions. The program consists of 6, 90-minute sessions from 9:30 AM to 11:00 AM on the following Mondays – March 4 and 18, April 1 and 15, May 6 and 20, 2019. Meetings will be held in Roppongi near Midtown. Address details provided upon registration. Application required. Please complete the application here. Total program fee – $150 USD. Please note, the program fee is a membership fee to join the group. No refunds will be provided for missed sessions. If you’re considering applying, please check your schedule and confirm that you plan to attend at least 4 of the 6 sessions. Do I have to do this AGAIN? I sometimes hear that expat life is a lonely life; that our relationships remain on the surface and that the constant moving leaves us longing, but unable to fulfill, something deeper and more constant in our friendships. I see it sometimes. 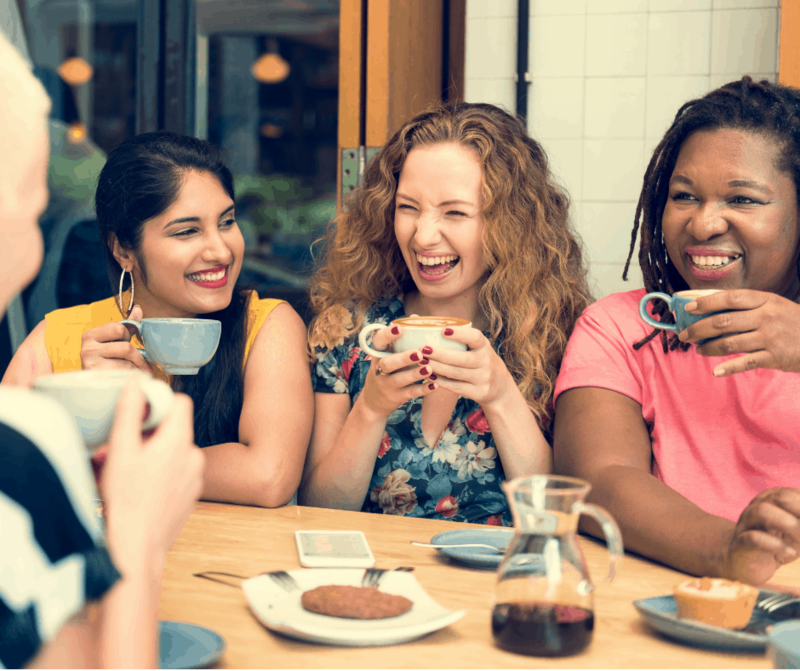 The endless coffees and wine nights, networking events and school activities – where you see the same people over and over again, engage in the same conversations, but never quite feel that you’ve moved beyond the necessary pleasantries. I suppose these points are true. Yet, I know for certain that the reality is more complex. Neither common wisdom nor observation can override my belief that our relationships are, or have the potential to be, so much deeper than what people assume. Maybe even so much more alive then we give ourselves the value of believing. I don’t want to oversimplify how very difficult it can feel at times to create new friendships when you’ve moved to a new place. It’s not just about building new relationships either; we carry the baggage of the friendships we’ve left behind with us too. We’re grieving what we’ve lost while also trying to build something new from what may feel like ruins. Even when we don’t want to, we compare the new faces with the old ones wondering if we can really create another bond that will survive the miles. Intentionality is key to forging expat friendships. Yet, research on the importance of strong friendships in our overall health is quite clear. Even when we find it difficult to build relationships, the task remains essential to our survival. I’ve written before about practical tools the most adaptable expats seems to use in their quest to forge strong, deep, no-fear friendships, but there’s something I don’t talk about in this previous post, that I’ve been thinking about lately. I think another key to cultivating relationships without fear of loss, free from the worry of misunderstanding or confusion, and open to the possibility of pain alongside love, is about engaging intentionally. And, that means being able to be clear from the beginning about how you want to engage within new friendships. What words guide you on the sometimes bumpy road of expat friendships? We can do that by identifying words that inspire and motivate our quest for deeper relationships. In my own life, I’ve always found that having a set of words to guide my path serves me like a lighthouse. In a moment of fear or uncertainty, I can pause and call to mind the words that define how I want to engage. In doing so, I’m emboldened to step back when I need to or to take a giant leap forward into something that could be life changing. If you were to choose a word to guide you as you build friendships, what would it be? What would you choose as your friend-making mantra? What would be your motto? Would your word be LOVE? Would you choose to ask again and again – How can I show this person I love them? When we engage with love we see the person in front of us as worthy of our embrace, our attention and our acceptance. Loving someone also means we love ourselves enough to share the overflow of our hearts with another human. Love is limitless and brimming. What would it be like if this were your word? Perhaps your word would be COURAGE. When we’re courageous in our relationships we pursue them despite the inner critic that tells us maybe we’re not good enough. We see and then lay to rest the stories that say – She won’t have time. She won’t really want my company. Courage takes moving past the false rules we learned about friendship in middle school and accepting the more grown up rules of friendship we now know to be true. Your word might be LISTENING. When you listen you turn towards the sound of your heart so that you can hear what it most needs. You accept that there are certain types of friendships you most grow from in your expat life and you pursue those, unapologetically. To listen is also to hear the laughter and the tears, the fears and the excitement of your newfound friends. Listening then becomes mutual and life sustaining. It flows both ways. GENEROSITY might be the word that most guides your quest to find friendship in your around-the-world-life. Your giving spirit may come alive in knowing that you can make someone’s day with a simple gesture or an open home. Your smile and even your tears could be the exact gift your nomad friends need. Generosity is a place you can come home to. It becomes a way of being for which the return is multiplied over and over. These are a few suggestions, but there could be so many more! What have I left out? What word could guide and define the way you pursue and build relationships? When you’re in a friendship rut or grieving the relationships you’ve had to leave behind, how could using a mantra bring you back into awareness of what feels right? This webinar was hosted live on January 29, 2019. If you’d like to have access to the webinar recording, please complete the registration form here. Understand the basic concepts of mindfulness. Recognize the connection between mindfulness and creativity. Identify the 3 Rs of Personal Leadership practice. Learn how to recognize something’s up moments. Understand the 6 PL mindfulness practices for reflective engagement. Develop an understanding of what it means to respond with right action. Be able to apply basic mindfulness practices to daily life. 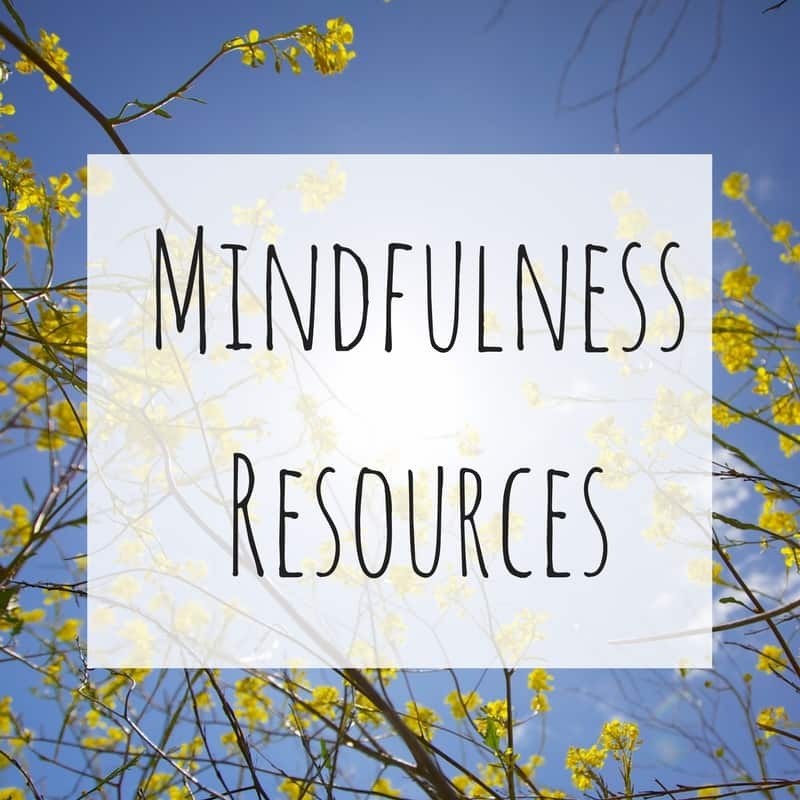 If you’re interested in ways to learn practical, everyday mindfulness skills in your own timeframe from anywhere in the world, one of my online courses in mindfulness and Personal Leadership could be the perfect fit. Whether you’re staying put or off on another adventure, these 3 New Year’s goals can make all the difference in your expat life. This year is one of the big years for us. Three and a half years into our life here in Tokyo and we’re now heading into another transition, another transformation, a new destination in our expat life. My husband has made a science of his to-do lists – mapping, categorizing and sorting every detail in hopes of smoothing the lines from our life as it is now to our life as it will be come June. We’re asked constantly if the kids are excited, if they’ll miss their friends, if they’re looking forward to a new school or sad about leaving this one behind. It’s barely January and I’ve perfected the answers…to the extent that they can be perfected. I mostly just try to translate their shrugs. I always spend time at the end of the year reflecting on goals and setting intentions for the year to come. If you’ve read my blog for a while, you’ll know I usually pose a set of expat life centered self-coaching questions. I believe taking time in self-reflection is more likely to produce goals that are clear, values-centered and sustainable. If we simply start making a list of things we want to do, it’s always seemed to me that our intentions will fizzle by the time March rolls around. We may lack direction or a deeper understanding of the why behind the goals we’re setting. This is exacerbated by the unpredictability of expat life. One little glitch can lead us astray. That being said, there are some goals that are universal. There are habits and intentions that we can bring into our lives that are foundational to creating the everyday, practical goals we hope to bring about in the New Year. There are three goals in particular that I’ve found are essential to goal setting for anyone, but especially for expats. That’s because turning these goals into habits teaches us to be present and comfortable in our own skin, our own minds and our own hearts. When we’re able to do that, we can feel at home anywhere. Be present with what’s happening. Make it your goal to turn your attention towards what you’re experiencing – even when it’s painful or uncomfortable. A common mistake we make is to think that shoving our way through challenge will lead us to our goals of happiness, contentment and life satisfaction. However, success through adversity is not about pushing out the other side with blinders on, it’s about tuning in to the lay of the land, noticing what we’re experiencing and taking stock of what feels right and what doesn’t sit well. It’s only then that we can confront difficulty with all the information we need to overcome. Learning to practice simple informal mindfulness techniques – even for just a few minutes each day – can help you establish this habit. Mindfulness meditation is also a wonderful tool for getting off to a good start with this goal. Take time to regularly look at the why behind your goals. When we change homes often, it’s normal to reach out to others for insight and guidance. In fact, it’s absolutely necessary. Doing so builds community and reminds us that we’re not alone and that we don’t have to reinvent the rulebook every time we move. However, it’s also important we don’t fall into the trap of meeting someone else’s expectations of how we’re supposed to be – an especially tempting response when we’ve just arrived in a new place. We can improve our ability to stay true to our most important goals by taking time to look at the underlying values and beliefs that motivate us. We can start by asking – Why do I want to reach this goal? And then we can deepen our understanding by asking again – Why else? And even again – Any other reasons? This simple process brings clarity to the resolutions we’ve set at the New Year. Make a habit of self-compassion. We’re so hard on ourselves. How many times a day do you look in the mirror with faint criticism of the lines around your eyes or the beginning sag in your chin? How often do you think, “That was so stupid!” as you reflect back on something you did or said? We often speak to ourselves in ways we’d never talk to anyone else we love. In our life between worlds we find ourselves regularly in situations for which there is no clear and correct response. We’re winging it a lot of the time and even though often we’re actually doing quite well, it’s easy to get hung up on the set-backs. However, it’s my experience that the most adaptable expats are the ones who are forgiving of their faults and loving of their imperfections. Self-compassion is a beautiful habit to bring in to your goal setting because it’s not about letting yourself off the hook for every mistake – it’s about seeing the challenges you face as a normal part of being human. Because those ups and downs are normal. And you are human. As you sit down to spell out your resolutions or as you look ahead to a horizon filled with another transition, another life yet lived, consider adding these foundational goals as the backbone of whatever outcome you’re reaching for. They’re habits to last an expat lifetime. Are you looking for a solid start to your goal setting in 2019? Get a boost from my self-paced, online course Goal Setting for Globetrotters. Is mindfulness more accessible than you think? Could it make all the difference in your expat life? Expat life is full of ups and downs, but we don’t have to weather uncertainty, setback and transition with blinders on. The New Year is the perfect time to wake up, tune in and start fresh with accessible, everyday mindfulness practices you can access wherever you go. I’m so happy to share these 13 expat-friendly mindfulness practices in my latest piece for I Am a Triangle. 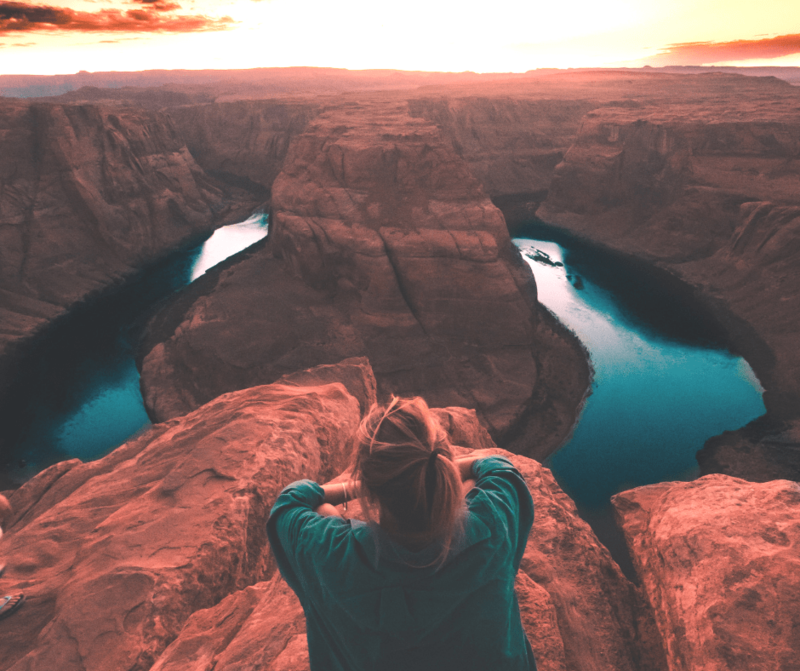 Mindfulness is more doable than you think and these practices are the perfect start to your 2019! Five years ago when my middle child was suddenly diagnosed with Type 1 Diabetes, we left everything behind from our life in Antananarivo, Madagascar and headed to my parents house in Texas for 6 months. It was an incredibly emotional time, full of ups and downs and doubts about what our expat life would look like from then on. And, it was also a time of reevaluating and refocusing. We started to see that we could live quite normally even in the face of challenge and that our international existence would actually return, more or less, to normal. It was also one of the most wonderful times for my children to reconnect with their grandparents. For just a little while – we saw what our life would have been like had we never left Austin. Baseball and soccer, tacos and live music, Barton Springs and fire ants. Within a year of our 6-month stay in Austin, however, my step-dad was diagnosed with cancer. He died just shy of 2 years from our emergency evacuation from Madagascar. There is a part of me that will never fully be able to accept my stepdad’s death. It seems he was too young, too healthy, too much a part of our lives to be gone so suddenly. It seems so wrong to have befallen a man that was so universally loved, a person that seemed to want nothing much more than to love the people in his life…and go fishing…and drink an ice-cold Corona on a sweltering Texas day. Never in a million years would I wish to repeat the chaos and upheaval of our departure from Madagascar. If I could wave a magic wand, I would take my son’s diagnosis any day so that he could go on living as carefree as a 10 year old should. And yet, because we were in Austin, we had those precious 6 months with my stepdad. I can’t say I’d change it. The deep, deep well of gratitude I feel for having had that time in which every day my kids got to know their PawPaw offers a sense of peace and acceptance about the way things turned out. My gratitude for those unexpected days in Texas provides a sort of balm that softens the sting of the loss and reminds me that having been loved so unconditionally by this one person is an incredible blessing, even if he wasn’t in our lives as long as we all wanted. Gratitude serves this purpose in our lives. It’s not that by being grateful we suddenly erase the shittiness of bad things that happen. I strongly disagree with the idea that in our most difficult emotions we should simply apply a little gratitude and everything will be okay. What we can see, however, is that gratitude offers us the chance to see our experiences and our emotions in the context of the larger picture. For expats, one of the biggest gifts of practicing gratitude is that it’s so portable. You can step into a grateful mindset no matter where you are – from the airport security line to the first loving embrace of a brand new friend. Learning to engage with gratitude provides unique ways in which to deal with many of the difficult emotions that plague our unpredictable international lives – not so that we can always feel exactly the way we want to feel, but so that we can better address the very real emotions that sometimes knock us flat. Gratitude requires reflection, insight and mindful awareness and these are all traits that help us get a handle our difficult emotions. It helps us to see ourselves at a distance so that we can make clear, thoughtful decisions about how we want to embrace and honor the ways we feel. Moreover, more than being simply a state of mind, gratitude inherently offers us a chance to take action. We can feel thankful with our thoughts or our hearts (and sometimes that’s enough to help us address our emotions), but gratitude also compels us to act. It encourages us to actually say thank you – to write the letter, to make the phone call, to rephrase the complaint, to offer and to receive the support we need. If you’re feeling helplessness, sadness, envy, anger, rejection or grief, it can be helpful to process those emotions by seeing them as part of your complex life – a life that also includes good things…even good things directly related to the challenges you’re facing. If you find you’re in a rut, try these gratitude-centered, self-coaching questions. 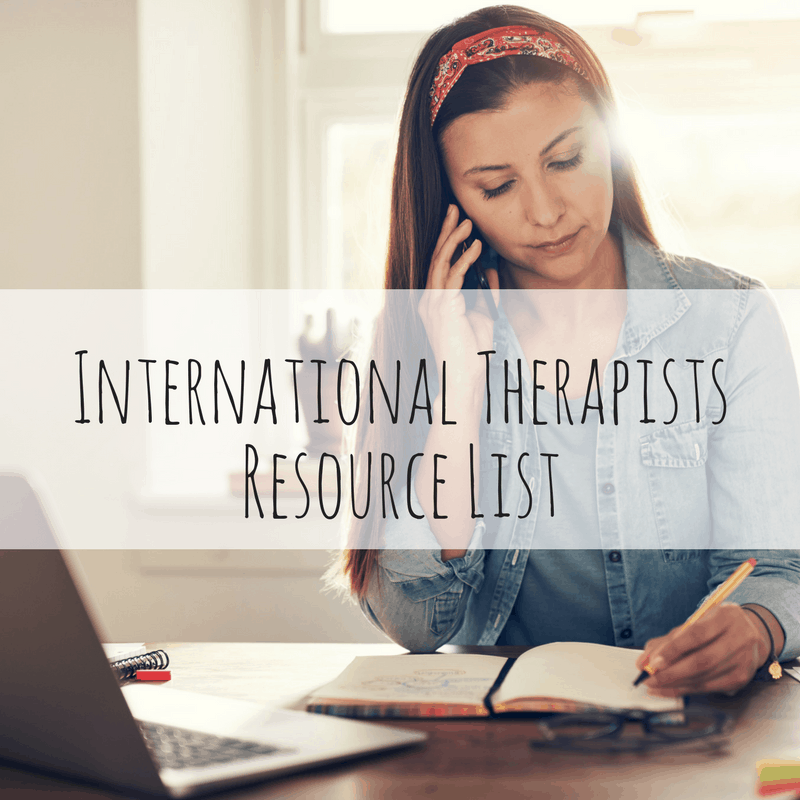 They might get you started in gaining new space to see, move through and heal from the difficult emotions you encounter in your expat life. What uncomfortable emotions am I feeling right now? What might I appreciate about these difficult emotions? What might they be trying to tell me? What gifts might be hidden within these emotions? Who in my life has been the most supportive and understanding during this challenging experience? How can I acknowledge my gratitude to this person? What skills or abilities do I possess that have helped me to move through this experience? What person or situation has supported my cultivation of these abilities? How can I offer gratitude to that person or situation? Who have I witnessed overcome challenges? In what ways am I grateful for the opportunity to learn from this person? 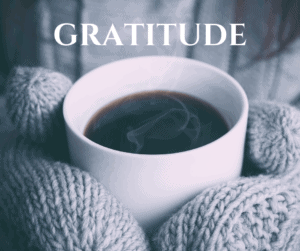 How has maintaining gratitude helped you deal with difficult expat emotions? Based on your experience, what questions would you add to the list above? I’d be honored to hear more about how gratitude has supported your expat journey in the comments. Throughout the month of December 2018, I’ll be posting more self-coaching questions on gratitude on my Facebook page. Like the World Tree Coaching Facebook page to join the conversation. Welcome to Episode 6 of Everyday Expats! This month we’re talking about GRATITUDE. Over the past 6 months, I’ve loved talking with expats all over the world who are finding simple, thoughtful ways to deepen their experience of living overseas no matter where they go. The tips and reminders they’ve offered are accessible to anyone, anywhere, at any time. Nothing is rocket science – it simply takes intention and attention to put these skills to work in your own life. We’ve talked about the concept of home, self-care, parenting, rituals and traditions and creating a vision for who you want to be in the world. This month, as we talk about the concept of gratitude I decided that I’d like to offer you the reflections of a variety of expats. These globally mobile people share what they’re grateful for in their international life – each one offering a short 30-second video from wherever they are right now in the world. In my own life, I’ve found no matter where we’ve lived and regardless of the challenges we’ve faced, I feel an incredible sense of gratitude for the gift of getting to build community in so many places around the world. Right now I’m grateful that my family is happy and healthy and that we’re surrounded each day by people we love and people who love us. I’m grateful that my children are getting to see and experience things that were unimaginable to me as a child. And I’m grateful that this has taught them to value difference, complexity and generosity. 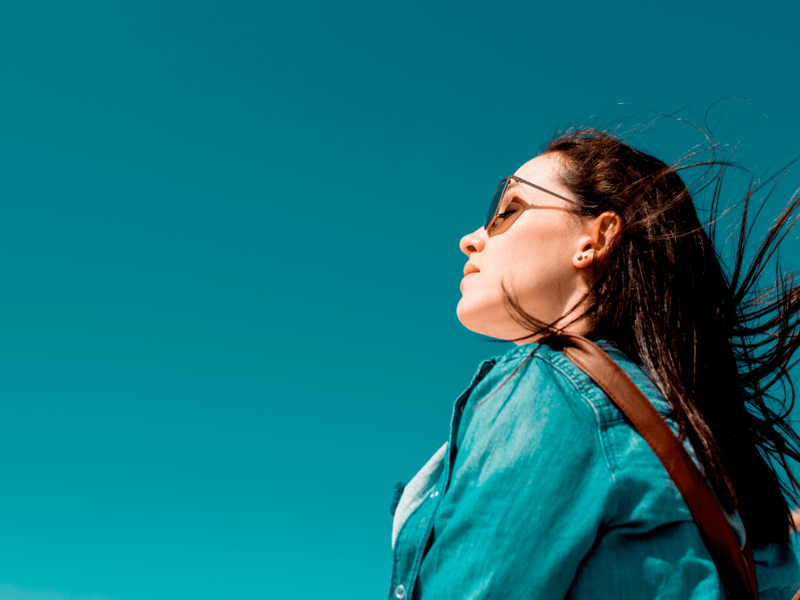 Interspersed with the reflections of this month’s Everyday Expats, you’ll find Expat Gratitude Action Steps that you can take in your own life. I’ve also included those action steps below where you normally find the Everyday Expats Questionnaire. I also want to give you the heads-up that I’ll be taking a break from Everyday Expats in January. I’m considering different formats and ideas and ultimately whether I continue with this project or move on to other ways to bring you quality content on expat life. Feel free to share any ideas in the comments or offer feedback you might have on this month’s format. Thank you again for watching! Very best wishes as you wrap up 2018. 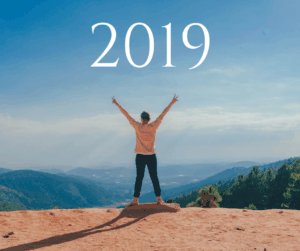 I look forward to seeing you in 2019 – either here at Everyday Expats or somewhere else entirely! As you go through your life living from place to place, it can be really easy to lose sight of what brings you joy, what gifts you’ve been offered from the Universe and what it really means to feel a sense of connection with others and with the larger world. Taking time to express gratitude is a wonderful way to cultivate a sense of peace and comfort – even when things aren’t always going our way. If you feel you’re in a gratitude rut – try some of these tips for boosting your sense of thankfulness for your expat life. When you’re leaving somewhere, present a thank you note and a small gift from your home country to the people you’ve encountered in your daily life. After you’ve settled in to your new home, hold a coffee morning or dinner party to thank the people who were the most helpful (logistically or emotionally) in helping you get adjusted. When family or friends come to visit, give them a framed photo of their trip to your host country. Plan a special celebration (a dinner out, a cake or family meal) to recognize how your Third Culture Kids have adapted to their new home. Take a gratitude walk. Mindfully explore your new town, taking note of all of the interesting things you’re getting to see for the first time. Do something to better the environment of your adopted home. Plant a tree, reduce your plastics consumption, shop locally, etc. When you return to your home country to visit, take time to mindfully recognize what you love about the place you come from. Make a list of those things and review it from time to time when you’re feeling lost between worlds. Tell your family, often and with deep appreciation, how much you love having them on this global journey with you. When we moved to Madagascar several years ago, I had three small children. The youngest was just a few months old. My husband worked long hours and I used to dread the moment when our helper left at the end of the day and it was just me there with the kids in a strange place where I didn’t speak the local language or yet understand the culture. It wasn’t that being without our helper was scary. It’s not like we’d always had a helper. I think it was the feeling that, once she left, the connection I had to the world beyond my own small compound faded away. It was isolating, even if it only lasted a couple hours until my husband would bang three quick, clumsy thumps on the outside gate while balancing, suit and all, on his bike. In the hours before he got home, I’d often insist, despite the determined swarms of mosquitos descending in the dusk, that we all go out to the front yard. The boys would play in the red, unrelenting dirt and I’d nurse my daughter from a chair on the front porch, holding on for dear life, staring at the jacaranda peering over the brick wall of our compound. If you’ve ever lived in Madagascar, you know that for the rest of your life, when you mention it as a place you once lived, people will say, “Woah! Madagascar! How was that! ?” I always struggle to answer at first. While we grew to create our very best friendships there and to love our little life on the Red Island, my early memories are inseparable from the fact that we moved there with a newborn and two small kids, that I’d just left a job that I loved, but that spent me emotionally and I felt utterly without focus or vision. Everything was red brick walls. But sometimes, we have to get to this place where we feel stuck behind the wall in order to better understand our way through to the other side, to find the hidden doorways. That’s what happened to me. It was during those early days in Madagascar, when my days were a mix of dreaming and surviving, that I began to see the importance of turning each day towards a vision of who I wanted to be in the world. I didn’t think I’d felt lost before, but in retrospect, I realize that what I thought was vision, was really more like ego combined with a fine dose of optimism and a fair bit of adventure. With small children and a meandering career, I realized those things were no longer enough. It was there, that I began to see the significance of not only asking what my vision for my life was, but revisiting it often, with commitment and focus. Most of us probably have some sense of the person we’d like to be, yet we consider this as an after-thought – something to take up only during times of struggle or loss, great opportunity or fortune…and maybe not even then. But learning to see each day as an opportunity to move closer to our vision of who we want to be in the world is something we can engage in at any time. It might even be simpler than you think. The short exercise below is a modified version of one I do in vision crafting sessions with my clients. While I’ll confess there’s added benefit of taking up these questions with a coach, someone who can ask more questions and help you stay focused on the exercise, there’s really no reason you can’t do this on your own. First, think back to a time when you felt completely on your game. This can be a small moment – like a bath-time parenting win or something bigger like overcoming a professional or financial setback. When you think of that time, what qualities were you most exhibiting? Write down as many as you can think of. Then, think about the people you know and love – what do you admire in them? Are those qualities you’d like to bring into your own life? Write those down too. Next, look at all the words you’ve put on the list. Close your eyes and take a few deep breaths. Then, open your eyes and circle the 3 words that most draw your attention. These words are a starting point for defining your vision of who you want to be in the world. This may take some time. You might even choose 3 to try out for a few weeks and then choose another 3 later. That’s okay. • During a moment of intense emotion, pause, take a deep breath and ask – Who do I want to be right now? Say your 3 words in your head. Use them as your guide. • After you have a stressful experience, a big change, a challenge or miscommunication, think back over the event. Ask yourself – How did my actions align with my vision of who I want to be in the world? If your actions aligned well, spend some time thinking about how you were able to act in accordance to your vision. If your actions weren’t aligned ask – How can I strengthen that alignment? • Write your 3 words from your vision on a notecard. Place the notecard somewhere you’ll see every day. Notice if this helps you become more aware of your vision in your daily life. Alternatively, consider keeping the notecard in a place where you feel you have the most difficulty staying aligned with you vision. It’s important to remember in doing these exercises that our vision is not so much a destination or a list of wants or dreams. 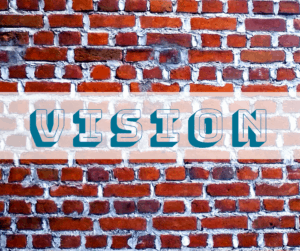 The most useful and adaptable vision is a vision that reminds us of who we want to BE not what we want to DO. Our vision of who we want to be guides what we want to do. It brings us back again and again to the deeper role we play in the story that unfolds before us. It’s a light shining on, and ultimately through, the brick walls.